Do you have a special event that requires our delicious food? Delice & Sarrasin can help! Whether you want to take advantage of our pick-up and delivery service, or even have full catering, we’re here for you. Take a look at our special events and catering menu and check out the different options! love love love this place! 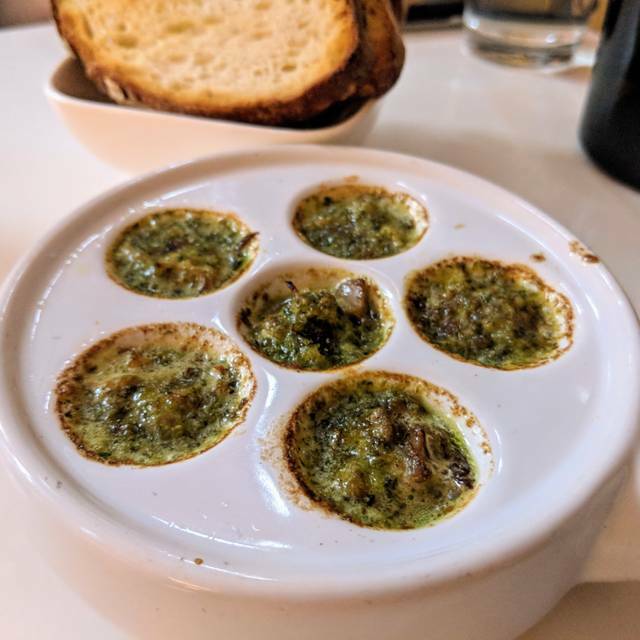 you really cant go wrong with anything you get but i will say the Escargot is a MUST get.. its divine.. also the seitan "duck" with he mustard sauce is so damn good. its really small in here so thats my only complaint.. you are right next to other parties and sometimes its hard to concentrate on your convo when youre so close to other people, but that wouldnt stop me from coming! also you have to make a reservation because its so small. really really good. Great food! Terrific vegan experience in French cafe setting. Fabulous vegan versions of classic French cuisine. 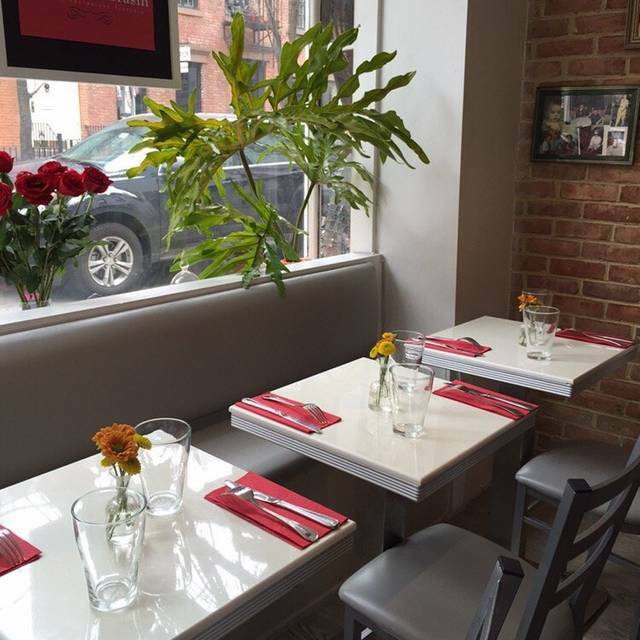 Cozy atmosphere- don't go if you require a ton of elbow room! Efficient yet super-warm service. Coq Au Vin and Steak Tartare were delicious. Can't wait to return and try everything else! Great food, great vibe, delicious food! The food and service are both outstanding. Such a great experience. We went twice in one week! We had a lovely time. The food was amazing and the service was phenomenal! Utterly astounded to be able to enjoy cuisine that I thought I would never have again since going Vegan. Everything I have had here is exceptional. French onion soup, escargot and even a Cassoulet!! I never thought I could have these again. They even have crime brûlée. 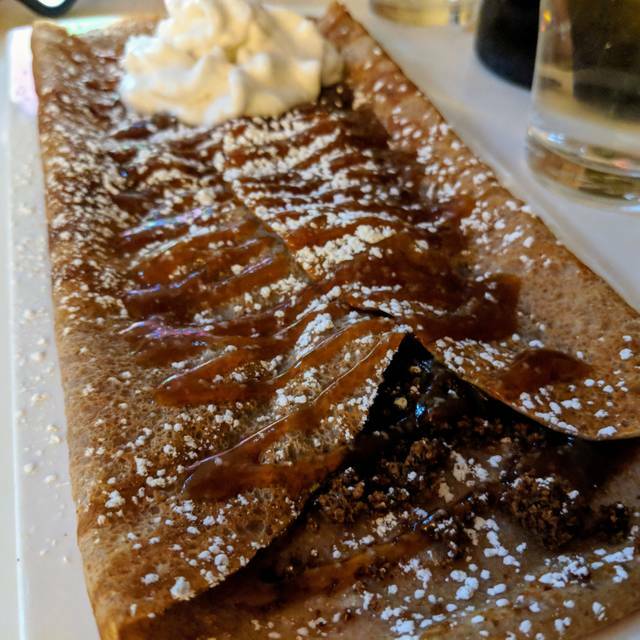 The galleries and crepes are to die for but the best part is, nobody has to die for them. I had always dreamed that one day some master of French cuisine would rise to the challenge of creating dishes that are both vegan and utterly French. I just never expected to find them in my own city. Simply astounding. I could never thank you enough so I will do my best to tell everyone about it and bring as many people as I can!!! Spectacular Vegan experience. Small but great atmosphere. Reservations are highly suggested. I’m not Vegan but my friend is. The food was outstanding!! I highly recommend the waffles! In short, the food was good, the service was not. We had a 9pm reservation. We arrived at about 7:30 with hopes to be seated early, which didn’t happen but I have no problem with that. We instead left to go to a bar and have a couple of drinks before returning at about 8:50. When we returned we were left in the entrance way with no greeting, no update on our table, no info at all, even though there was a table open. We get sat at 9pm on the dot, but don’t receive menus until 9:10. 10 mins without seeing a waiter or a menu until I finally flagged down someone and asked for a menu. Some of the food did not meet our hopes and expectations (the "duck" was a bit salty) and the "sausage" wasn't great. However, my omnivore friend was very impressed with the carrot fiber "salmon" and we enjoyed the atmosphere. The décor could have been spruced up a tad, but we enjoyed ourselves! Always the best. The best food. The best atmosphere. The menu of French classics made deliciously all-vegan is a miracle. The space itself is very small, so we felt as though we were crammed in. We were excited to try the food, so we didn't mind that we were crowded. There were many appealing items on the menu, most of which were foods mimicking foods I gave up being vegan. I was curious to try their food. While the food was flavorful, both of our entrees were very salty; So salty that it was hard to enjoy the other flavors. I've eaten here a couple times for dinner and have enjoyed most of the food I've had -- their tomato mozzarella salad is one of my all time favorite dishes. But I enjoyed the brunch overall more than the dinner and would highly recommend. The waffles were crazy good, the menu was versatile and had something for everyone. I got a taste of a crepe with some chorizo in it and yum yum yum. Would go again. It's also open early for brunch! My new favorite restaurant in the city. Will definitely be back soon! One of my favorite places. My life partner and I love going there for special occasions or a night out when we're staying in the city. The restaurant is very small and cramped. Service was mixed--two staff, one very attentive, the other lost in space. He took our order without a pad and forget several items. As for the food, you can dress up Vegan cuisine however you like, but at the end of the day much of it winds up tasting the same. The range of acceptable ingredients is simply too limited to create the necessary variety of flavors. We ordered onion soup, boeuf bourguignon, cassoulet, and other french standards. They were unconvincing, whether as compared to the originals for on their own terms. As an appetizer, we also tried tapenade. There should be no way to kill tapenade--you just grind up some olives in oil. This version looked like human excreta. It was most unappetizing and texturally unappealing. The best thing we tried were the truffle fries: think, crispy, and not too greasy. 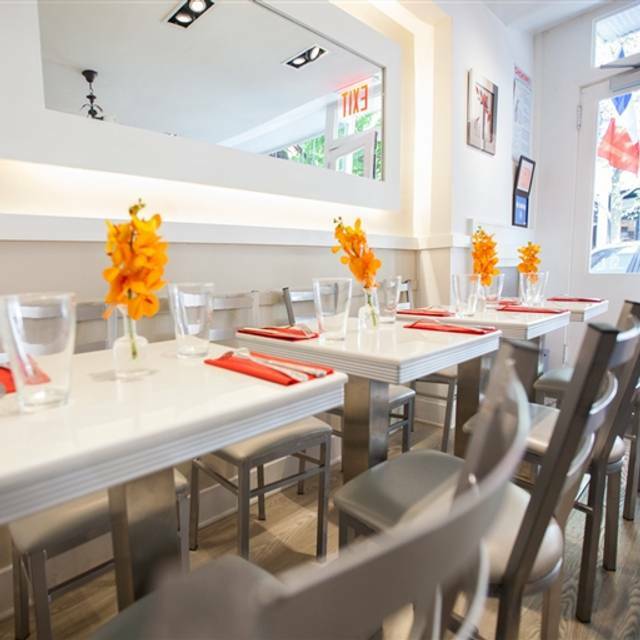 We have tried most of the higher end Vegan restaurants in New York by now, but the only one that seems to embrace the culture and present first class, imaginative cuisine is Avant Garden. Our meal was wonderful and the service was friendly and quick :). Definitely get the cheese platter and French onion soup! 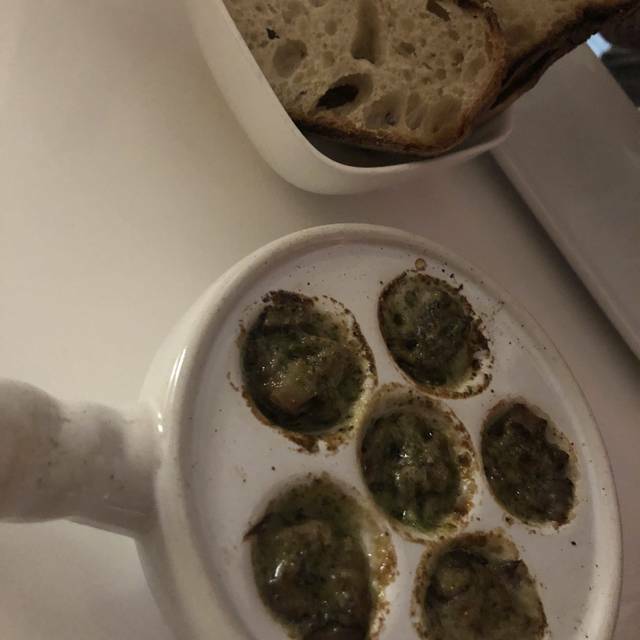 The escargots were phenomenal, the buckwheat bread/galettes were delicious. 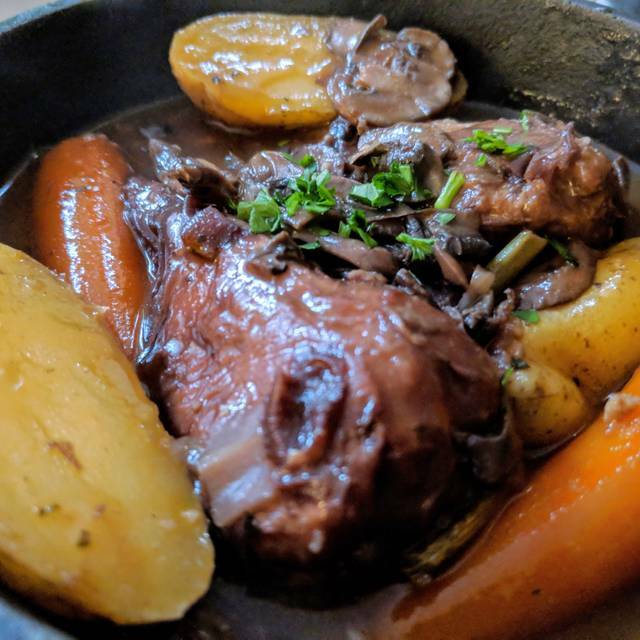 The boeuf bourguignon was more interesting and deep in flavor than the savory galettes (I had the egg, cheese and ham one). I believe the crepes were excellent although I did not have any. The butter sauce and whipped cream made from coconut milk tasted like the real thing. Loved this place! The best vegan gourmet I have ever had. 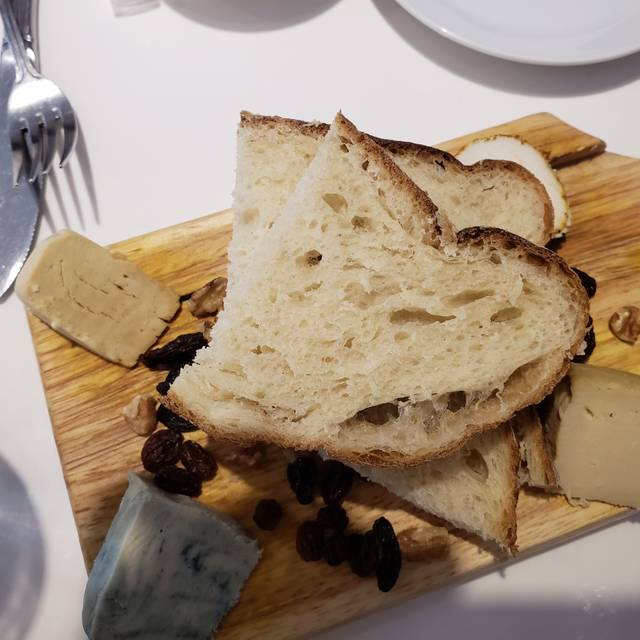 The cheeses in the cheese platter were amazing. I have been wanting to eat here for a long time and it did not disappoint. We had the brie appetizer and it was awesome. For entrees we had the "steak" and the "crab cake". Both were exceptional! The atmosphere is intimate as this is a cozy restaurant. Service was very informed and attentive. Be sure to make reservations if you are wanting to eat here. The food was incredible! I got the chicken legs and they were amazing! I got a glass of Riesling and it was so good. However, the service was horrible. There are only a couple of tables in the restaurant. So there were only 2 servers. We got ignored the entire night. We had to ask for water refills, ask for dessert and then ask for the check. I made eye contact with the waiters multiple times and they would walk away. I could excuse it in a big restaurant. But when there are 4 tables, and I can see them dancing and talking to other people, there is no excuse. We have been here so many times because it’s always delicious. My husband and I went for a brunch date. Although we had reservations for a later time, they were kind enough to accommodate us earlier. It’s a small but lovely restaurant and the food and service were outstanding! Great vegan, gluten & dairy free choices. Original, creative dishes -all delicious. Quant & lovely atmosphere. Highly recommend & I will return. Excellent choice for those who like combination of vegan and gluten-free. Great food, ambiance, and service! Absolutely head over heels for this place, I cannot wait to go back. I cannot believe their ability to make a full vegan menu of this caliber. I was there for brunch and I had the cheese board and a dessert crepe. They were both amazing. I had read online that the portion sizes were small for the price but I disagree completely. Both plates were a great portion and I would have paid even a bit more for the taste of the all vegan food. The servers were very personable and kind. It is a very small place but did not get loud even when full. Would absolutely recommend! My partner and I are from Los Angeles, which is vegan central, but we both feel there is nothing in LA that comes even close to this restaurant. It’s a perfect little NYC “find” and I almost don’t want to tell everyone how great it is. Adorable store front on Christopher Street, the atmosphere is warm and charming, the wait staff are super attentive and helpful and the food is awesome. The escargot is an absolute must as is the cheese plate. I loved the French onion soup and the cheese on top was deliciously gooey. The pea protein chicken leg of the coq au vin was a little too soft in texture but the taste was excellent. 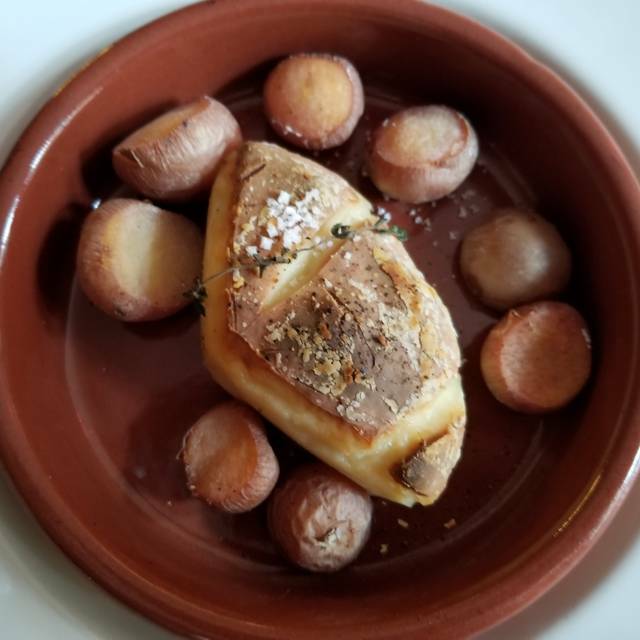 The tournedos Rossini was a really tasty combination of the Impossible Burger “filet” and house made foie gras with a touch of truffle. To die for. The lavender infused rice pudding was the perfect finish. 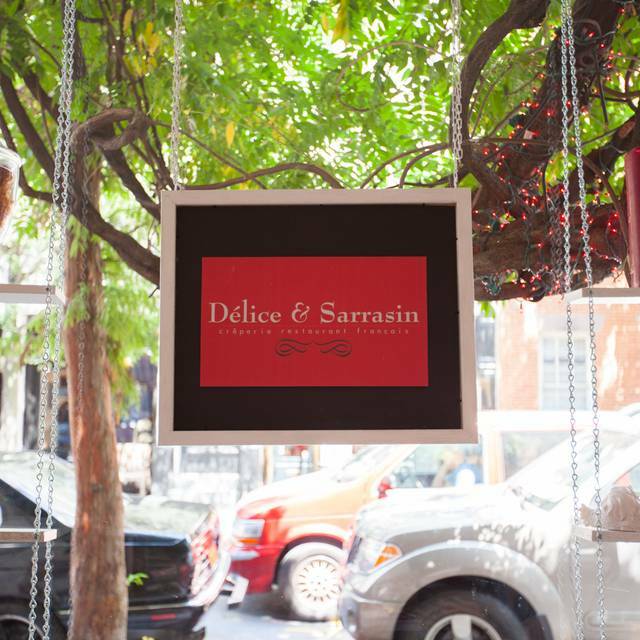 We will go to Delice & Sarrasin every time we are in New York. Phenomenal restaurant for special occasions. Amazing experience, my non vegan family was blown away. I don’t know how they make vegan foie gras, it was amazing. First time at the restaurant. The food was excellent. I had Steak Frites and for dessert lavender rice pudding. The appetizers were great, wasn't crazy about the mains. Paper napkins brought the dressiness down substantially, server was very nice but had a dull restaurant only him so service took a while. We had a nice brunch with good service. The tartine was not our favorite but the “egg” scramble with “crab” was very good. Cheese plate was amazing as always.